Family Telephebiidae is very close to the family Aeshnidae. Members in the Telephebiidae family are commonly known as Darner Dragonflies. 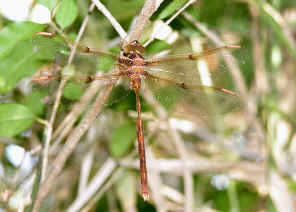 They are usually large in size, with body length 50-100 mm and wings span 80-150 mm. They are either blue, green, brown or yellow in colour with black markings. Their compound eyes are broadly confluent at the midline of the head. 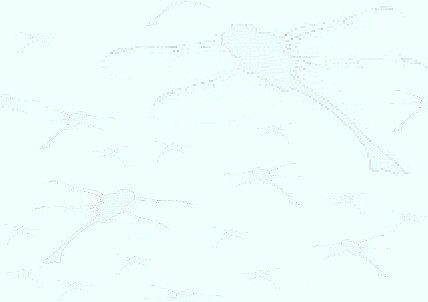 Their wings are mostly clear. This dragonfly seems never rest, spend most of the time flying over the pond. Sometimes it flies and stays still in the air in front of us checking what we are. The pictures were taken on a pond along the Bulimba Creek in Wishart. Females are invariably shorter/stouter than males. Click here for more information and pictures. The Coastal Evening Darner dragonfly are brown in colour, with white strips on the thorax. The wings are clean with all front edges marked with brown bands. The pterostigmas are creamy white in colour. 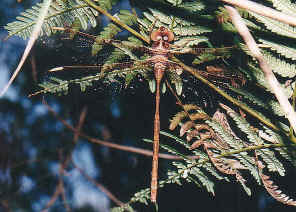 The dragonflies spend most of the time hanging vertically within plants. They fly a few meters away when disturbed. 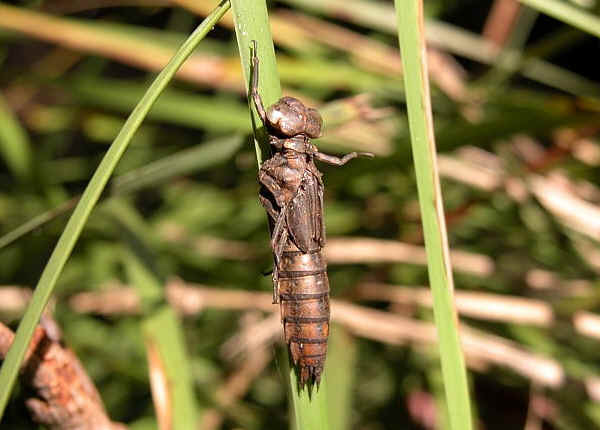 They fly slowly, not in the way you may expect from other dragonflies. 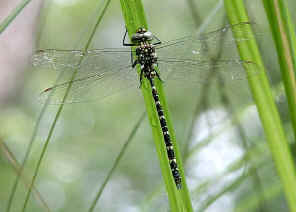 More information and pictures please visit the detail Coastal Evening Darners page. 1. 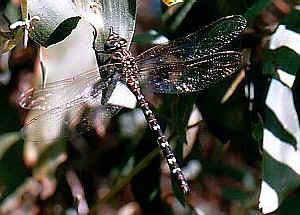 A Field Guide to Dragonflies of South East Queensland - Ric Nattrass, 2006, p45. 2. The Complete Field Guide to Dragonflies of Australia - CSIRO, Günther Theischinger and John Hawking, 2006, p116.